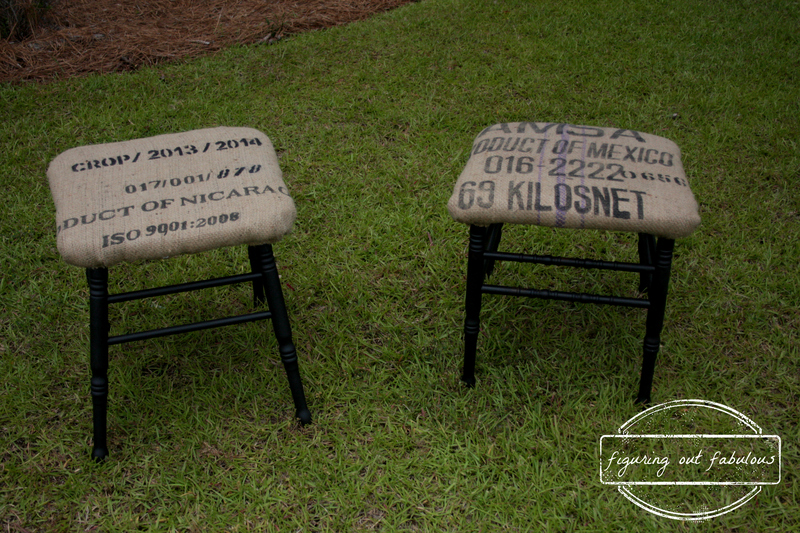 These little ottomans are actually made of salvageable pieces of a couple of old chairs that a friend gave me. His dog had snacked on some of the legs, so I took the good poles and put them together to make two solid bases, and removed the chair backs. I spray painted the bottom of the Frankenstein chairs black, added some cushioning and covered it with black fabric, then a coffee sack. I figured they would be great as little ottomans and occasional extra seating.